Have a look at what our Volunteers have been up to! After a very successful Outdoor Show in June, where we ask only for an item for the Food Bank as an entry fee, we managed to collect over $1100 in Cash and 300 lbs of food! There are always volunteer opportunities at the Outdoor Show. Lots of activities, and lots of folks visiting our facilities. Be a part of this wonderful party! B.C. Family Fishing weekend is always a big hit! The smiles are certainly bigger than most of the trout from our stocked pond! We can always use help with baiting hooks, casting, and cleaning the fish that are caught! It's lots of fun, and no real experience is needed to help our guests. We are always happy to assist other like-minded organizations such as the Western Canada Marine Response people by offering areas on the property to train. 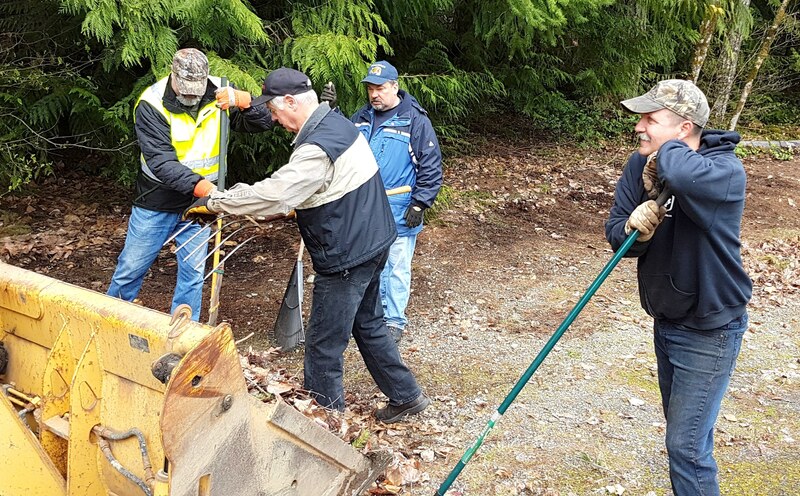 The Annual Spring Cleanup sees us clean up Association property and head out on the various roads from our property into Courtenay. Our volunteers, along with support from Edgett Excavating Ltd., pick up thousands of kilos of discarded furniture, construction debris, and other waste dumped on the side of the road and deliver it to the Waste Management Centre who kindly waive the tipping fees. It’s a sight to see when a couple of thousand trout are delivered and put into our pond. 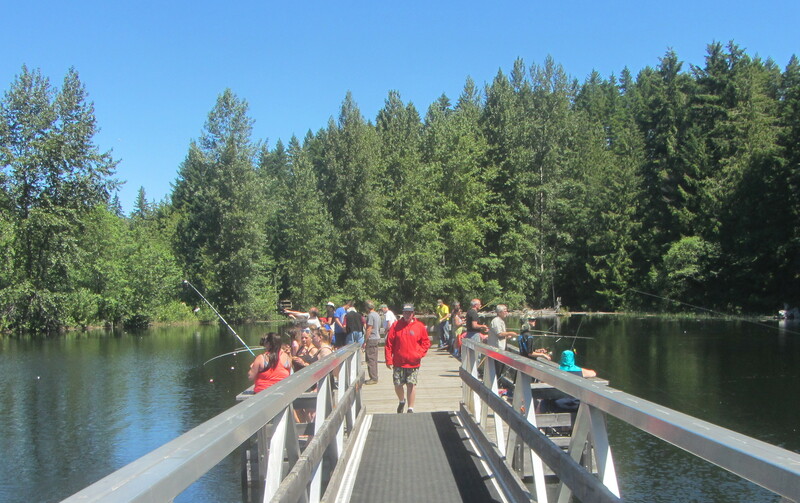 These fish are used for our community events such as the Outdoor Recreation show, the Fishing Forever Program, and the BC Family Fishing Weekend. 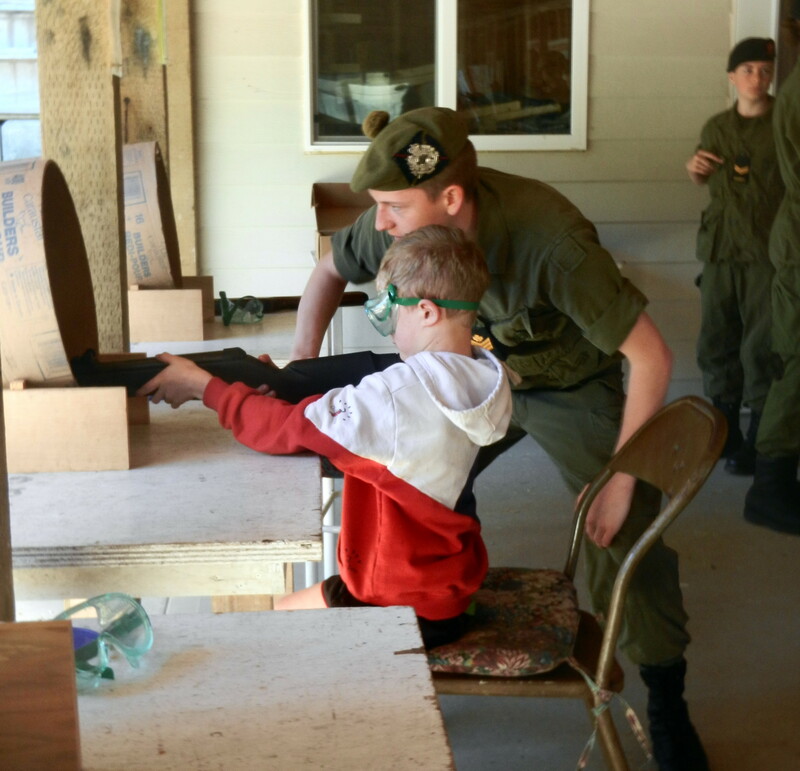 Pellet shooting is one of the youth activities to try at our annual Outdoor Show and volunteers are always needed to work the various events that the community come to enjoy. The Fishing Forever Program provides an opportunity for seniors and physically or mentally challenged to fish for trout and take them home for supper! It’s another satisfying experience for club volunteers to work with the community as well. The smiles we receive are simply a thing of wonder!